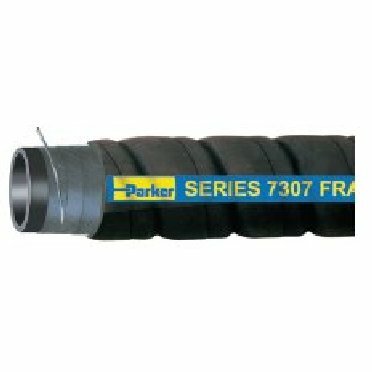 Black nitrile/SBR versatile suction and discharge hose. Designed to handle brine, crude oil, drilling mud, mild chemicals, petroleum waste, sediments, sludge, slurries and water in oil field applications such as frac tan service. Nitrile SBR cover is resistant to abrasion, oil and weathering.